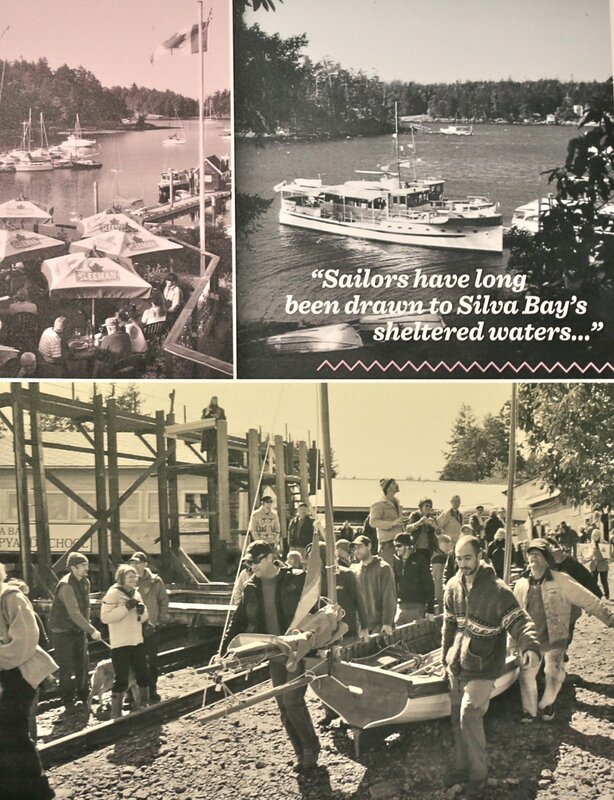 The Stories of Silva Bay are brought to life by a wonderful film crafted by Tobi Elliot (see article below). 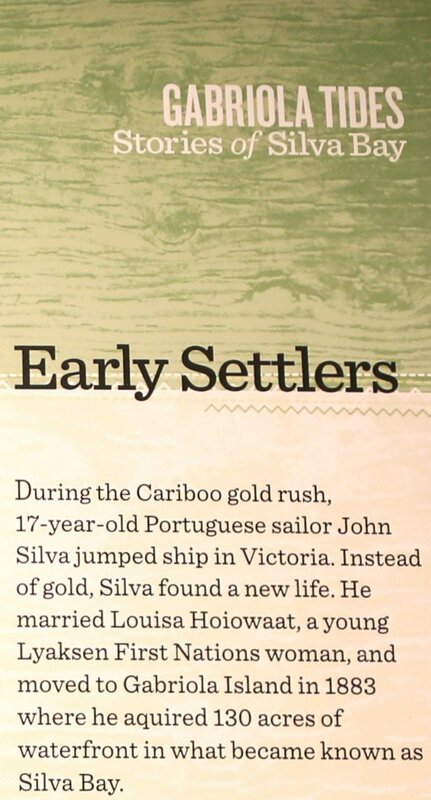 The stories are given a tactile dimension with artifacts, and four poster panels. 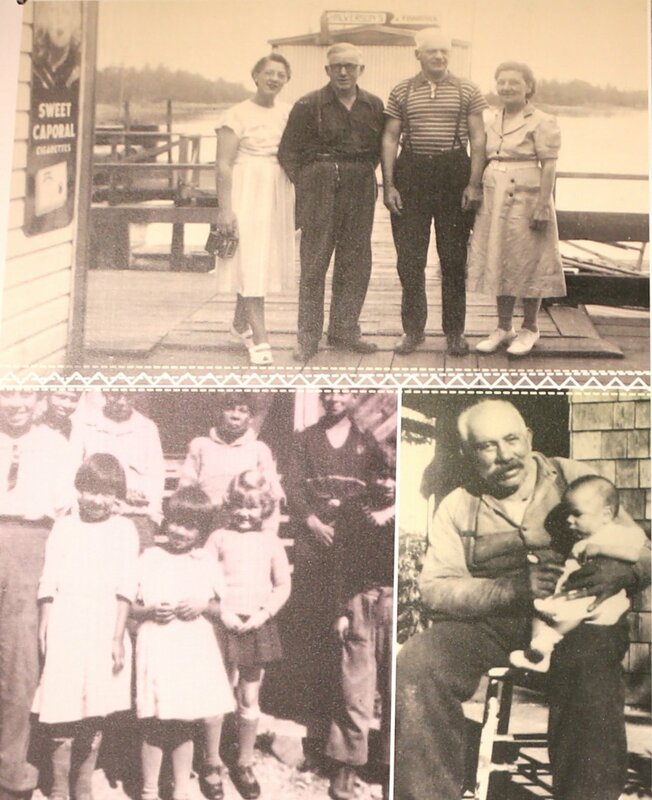 The poster panels represent ‘Beginnings’, ‘Early Settlers’, ‘Fun Times’, and ‘On the Docks’ (see photographs below). 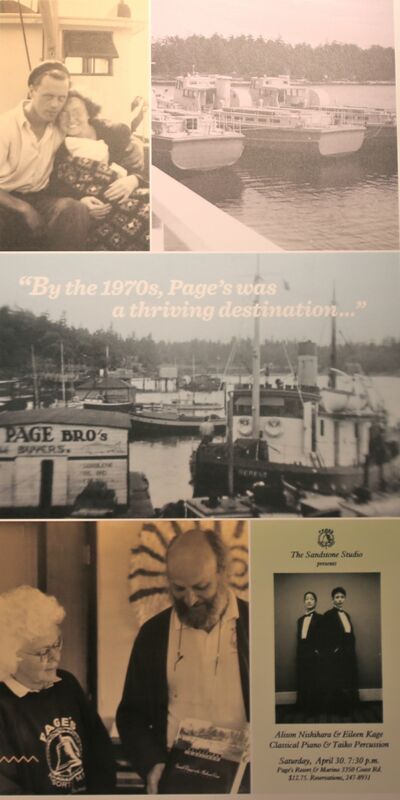 “We adopted the film form for this year’s exhibit because it allowed us to use far more images than we have wall space for- it has hundreds of photographs instead of a dozen.” Ivan Bulic, the exhibit designer, is speaking of the 30 minute film that is the main focus of a current exhibit at the Gabriola Museum. 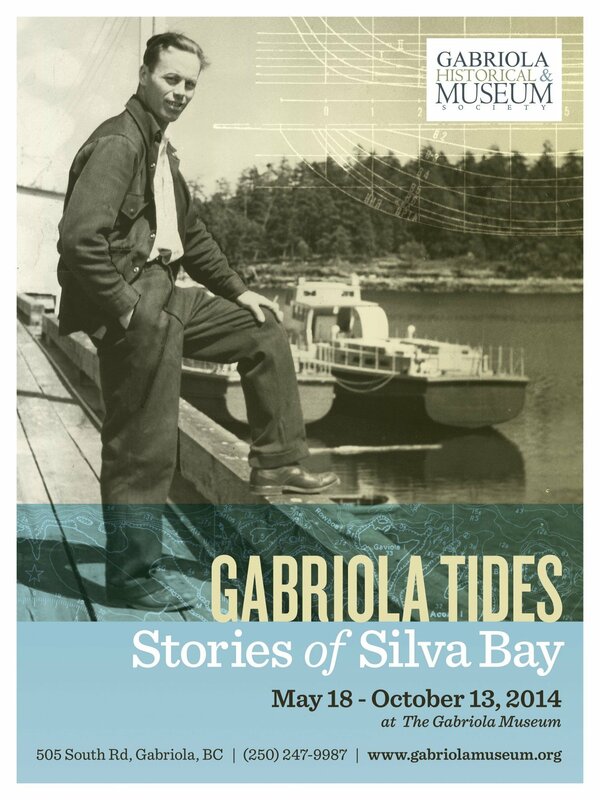 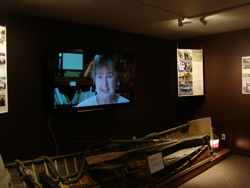 The exhibit captures the layered history of Silva Bay, a culturally diverse community in the early 1900s. 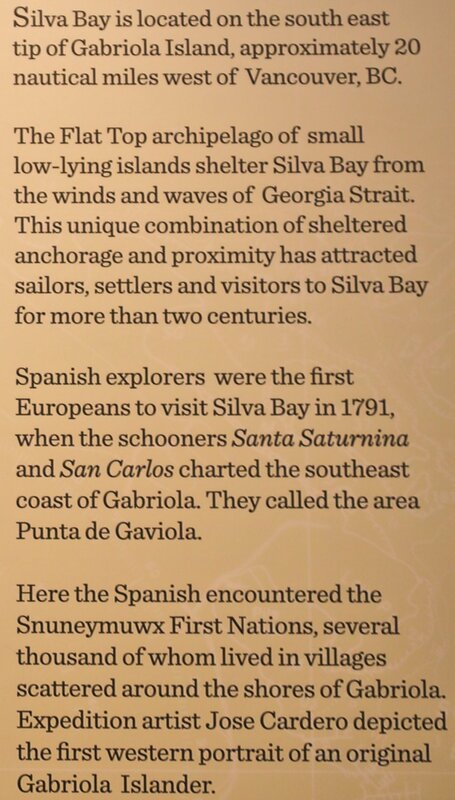 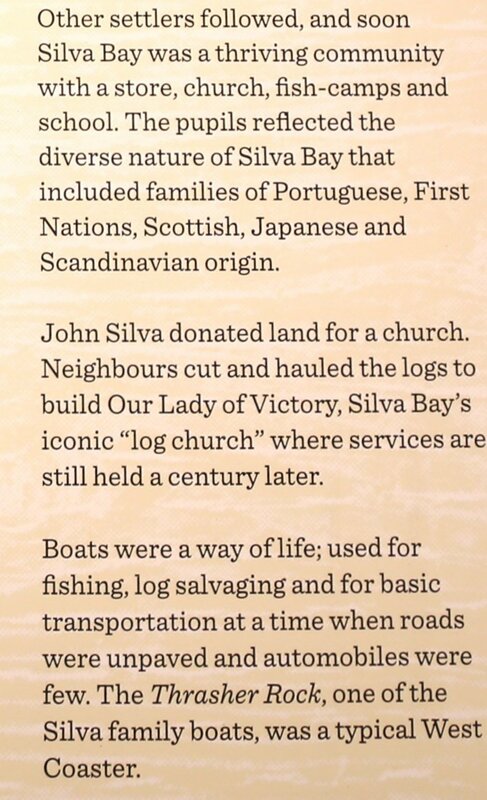 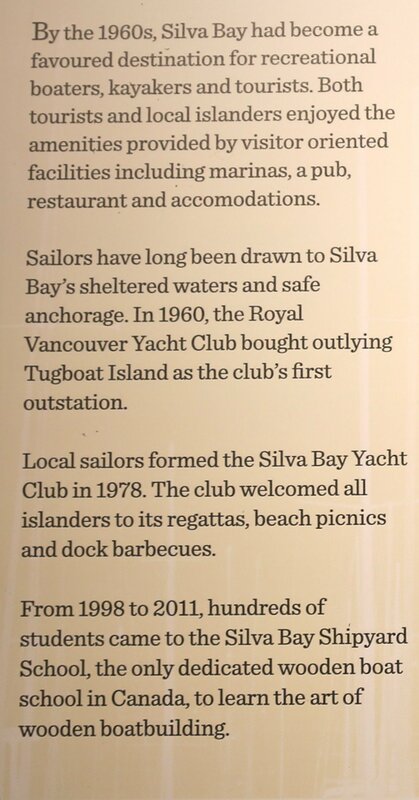 Silva Bay was home to First Nation families, as well as Japanese, Portuguese and Canadian settlers. 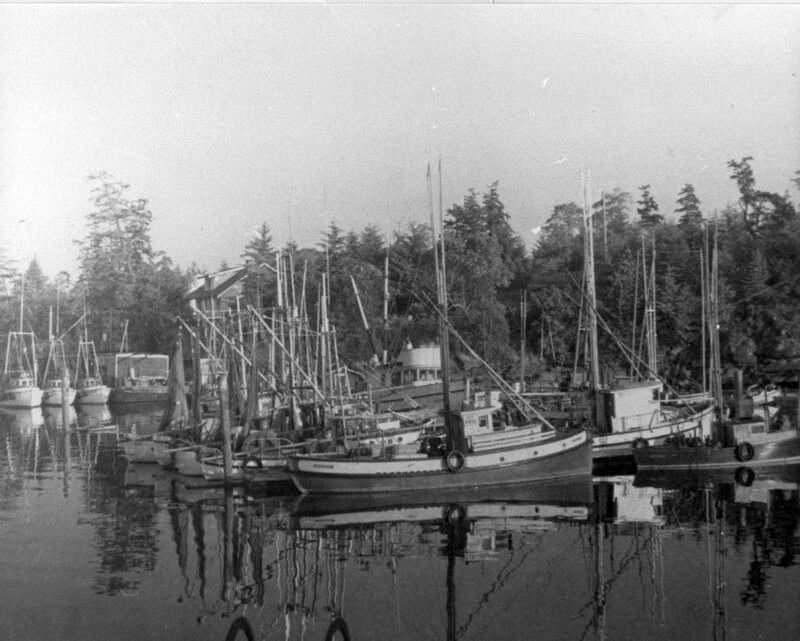 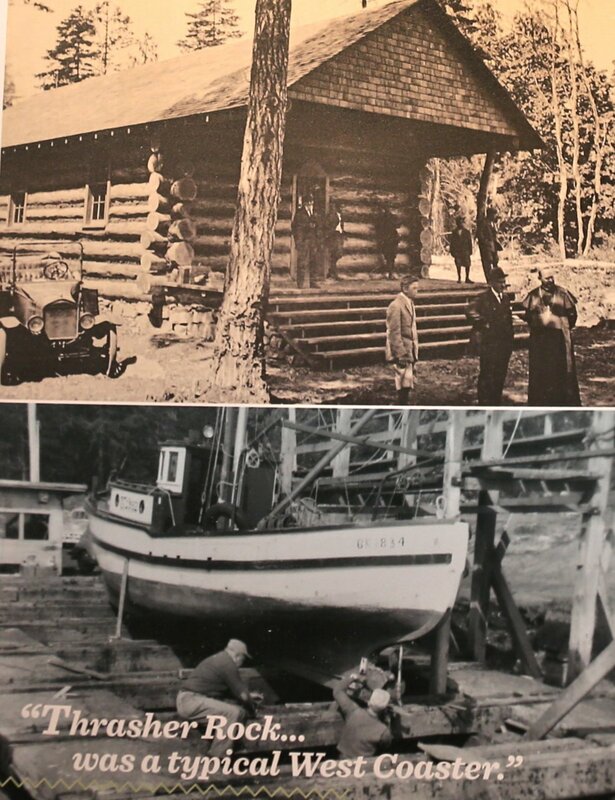 Commercial ventures like fishing, logging and boat building existed side by side with a store, a marina, a school and a log church. 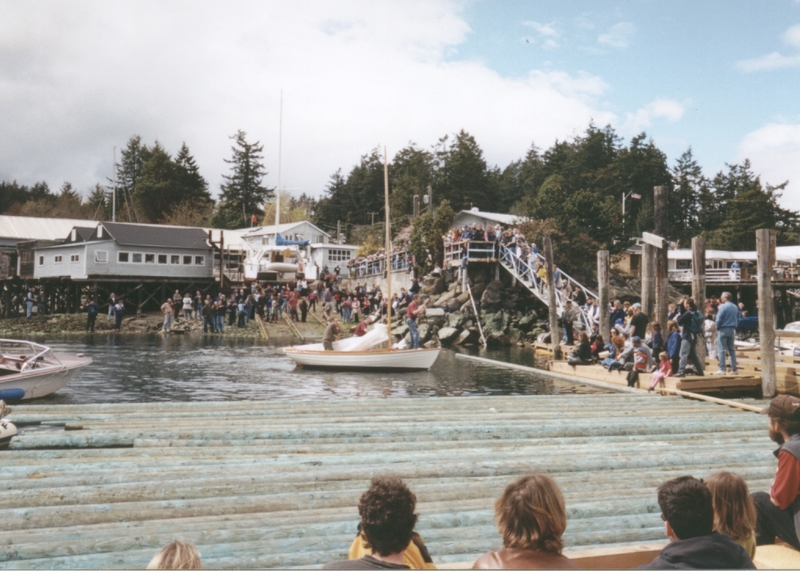 The film captures many of the transformations that Silva Bay has undergone, and a sense of what has continually drawn people to this sheltered harbour. 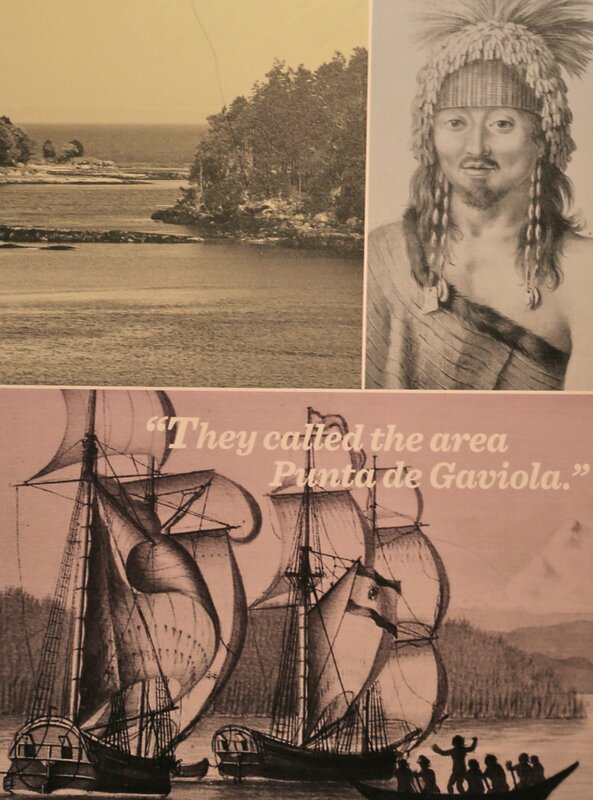 Ode to Silva Bay sheet music. 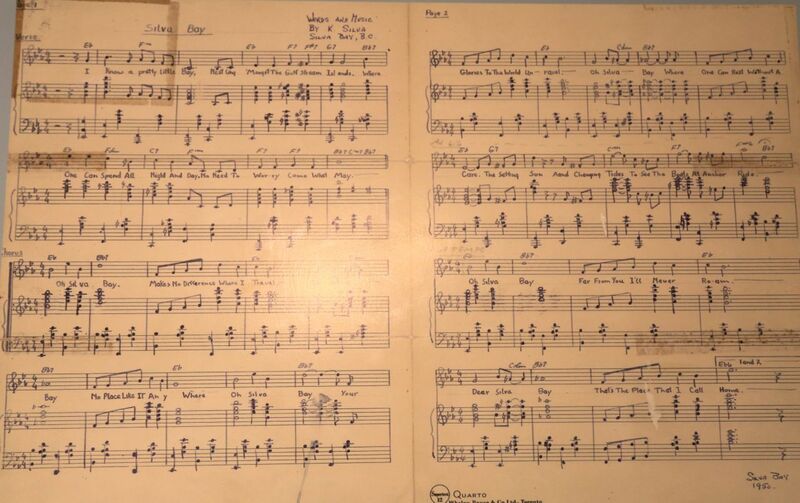 Lyrics and music composed by Kitty Silva in 1950. 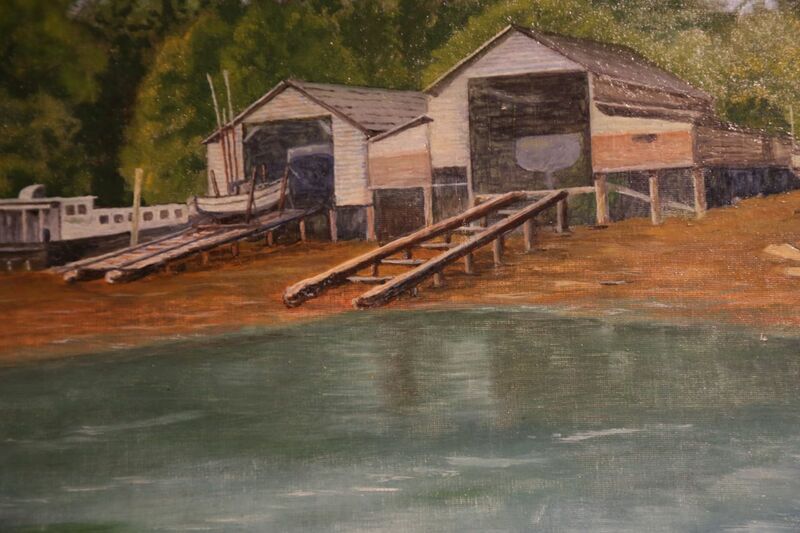 ‘Half boat’ model used at the Silva Bay Shipyard School to demonstrate construction of a traditional, carvel planked wooden boat.